Tensorbond® C307 is a high solids, flammable solvent, sprayable contact adhesive. 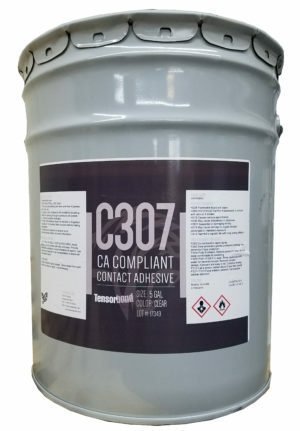 It is designed as a multi-purpose contact adhesive that effectively bonds a vast range of substrates while maintining compliance with California VOC requirements. C307 also qualifies for LEED 3.2, 4.1, 4.4 and is OTC compliant.